Ipeak creates workouts that fit your mood and interests. With Ipeak you can choose from a wide range of individual training goals that suit you best. Ipeak puts together a personalized list of training goals for you. You can start training immediately and don't waste your precious time. The power of Ipeak's algorithm allows you to create individualized workouts in a few clicks in seconds. 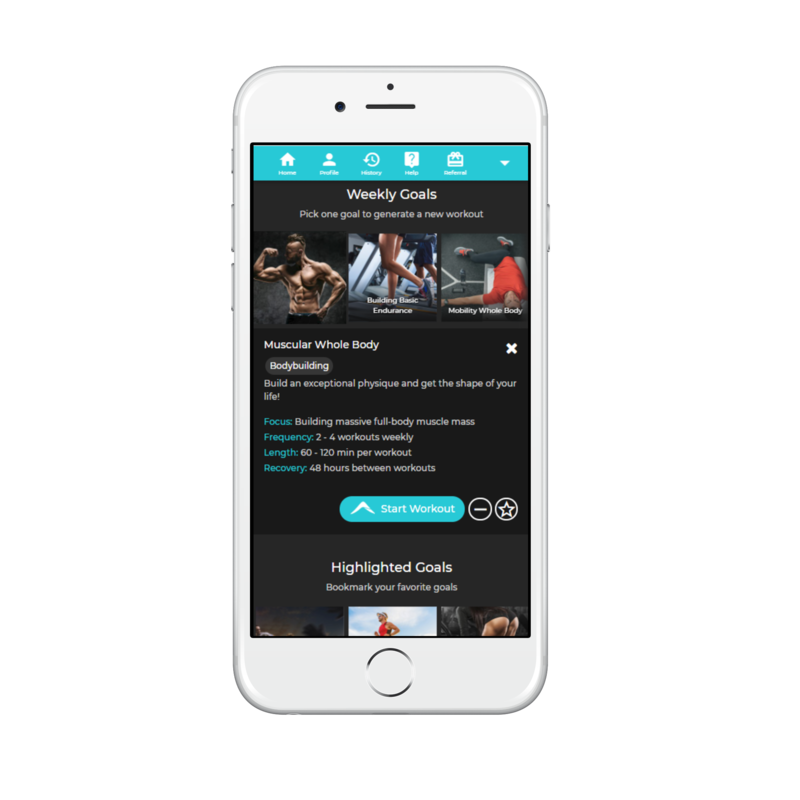 Ipeak gives you access to decades of Sport Scientific Knowledge and hundreds of proven and brand new training methods. 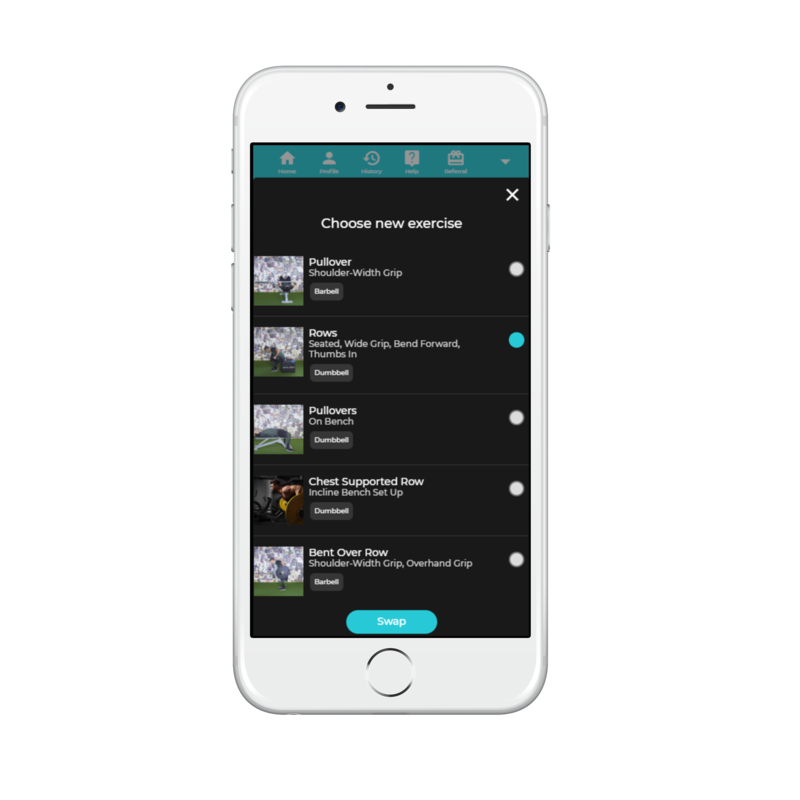 Ipeak lets you customize your workout however you like. Swap exercises, adapt intensities and change equipment in seconds. With Ipeak you can invite friends, share workouts and train together. Everyone gets their own individual workout. Ipeak can instantly analyse & visualize your current physical performance level and present individual intensities for every exercise. Get recommendations right from the start. All your workouts in one place. 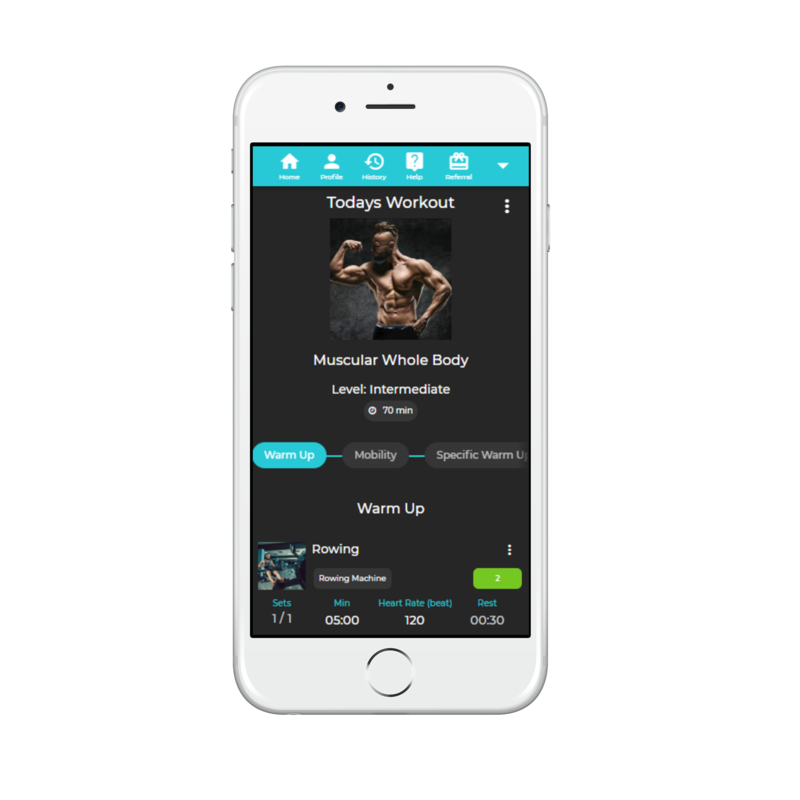 In only a few seconds your personalized workout is ready for you. Professional, sports scientific training methods, performance tests, exercises explained in detail and individualized intensites. Adjust your workout on the go to your preference, mood, time, intensity and equipment. A constantly growing pool of proven & brand new exercises for every level, experience & equipment. Detailed Execution Videos, Descriptions & Coaching Points for every exercise. Proven and brand new training concepts from published journals & experienced Coaches. Exchange exercises you don't have the equipment for or you simply don't like. Over 40 Sports Scientific Performance Tests that visualize your strengths and weaknesses. Shows a real-time analysis of your current performance level in your age & weight group. Keep track of your performance progress over time with adjustable charts. Guessing was yesterday! From Sets to Reps to Miles to Minutes. From Watts to Pace, from Heart Rate to Weight. Ipeak shows the right intensity for you! Show your workouts to your friends and keep track of your latest & favorite workouts. Search for your friends and stay up to date about their workouts and their progress! Train together with friends and share your workouts. Of course with personalized intensities for each of you! 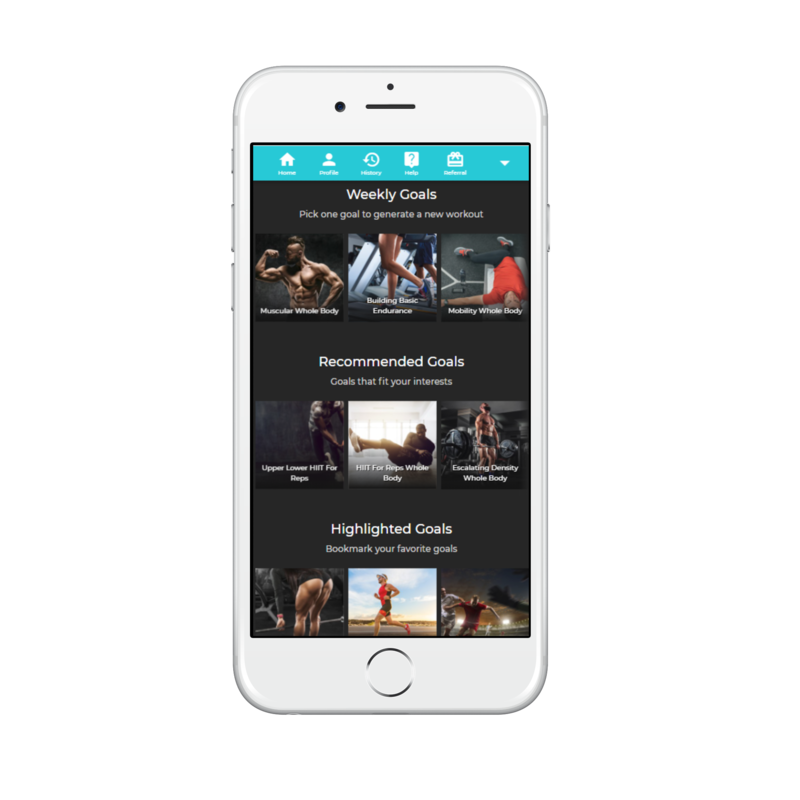 All your finished workouts organized and viewable in one place. If you don't like your initially created workout the first time you can regenerate with one click! Restart one of your finished workouts in one click in your history! If questions occur you can always contact a coach personally in the app! You can share a unique link to give your friends exclusive access to Ipeak and earn gifts yourself!